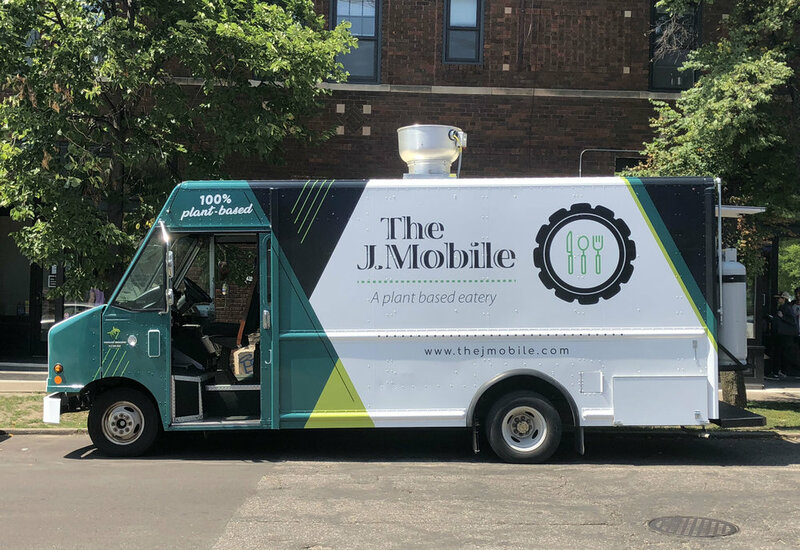 Learn all about our new food truck, The J-Mobile, here! Our Smoky Kalua Jackfruit and Macaroni Salad. Follow us on Facebook, Instagram, and Twitter. Find the truck here.